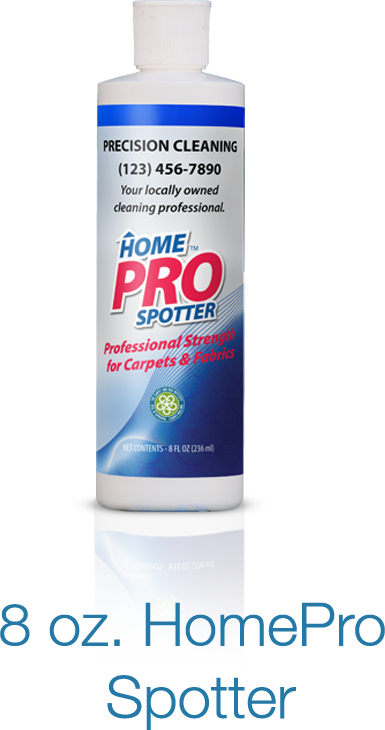 The customized HomePro spotter is the number one customer retention program in the industry. 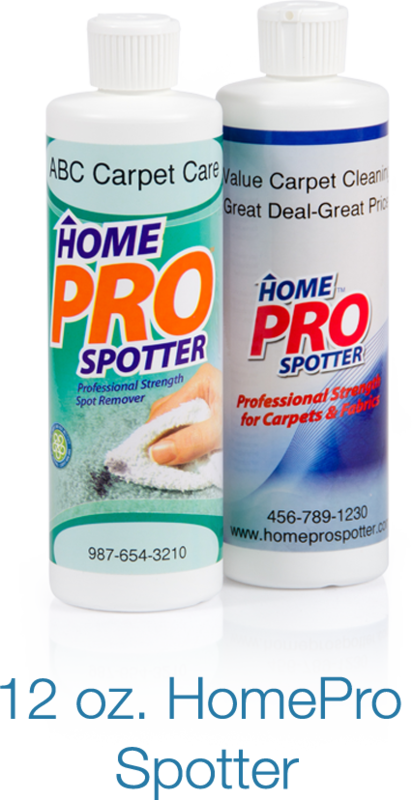 HomePro Spotter has a neutral ph which is safer for both people and fibers, yet is unbelievable in its ability to remove stubborn spots and stains. Note: 4 case minimum order. 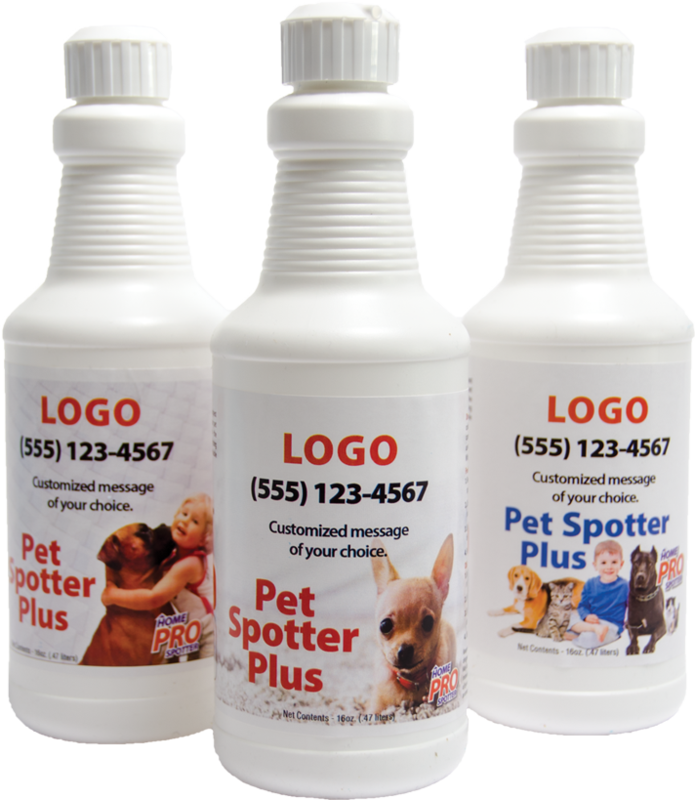 Orders ship from Salt Lake City, Utah within 5 to 10 working days of label being approved. 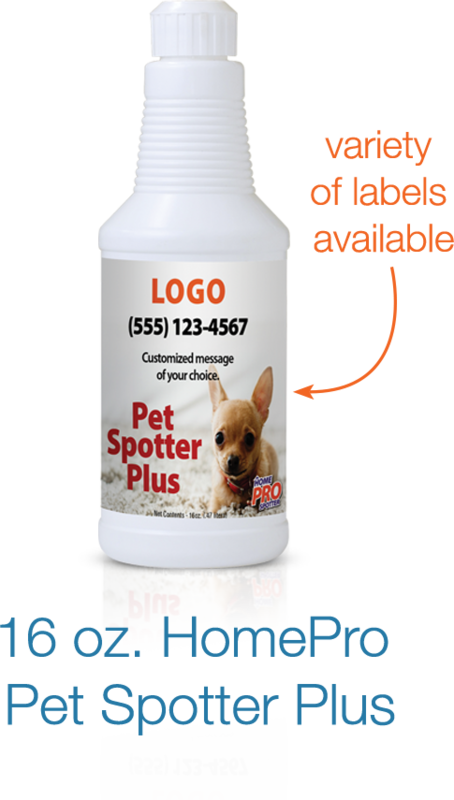 Orders above 12 cases will take longer due to processing requirements. 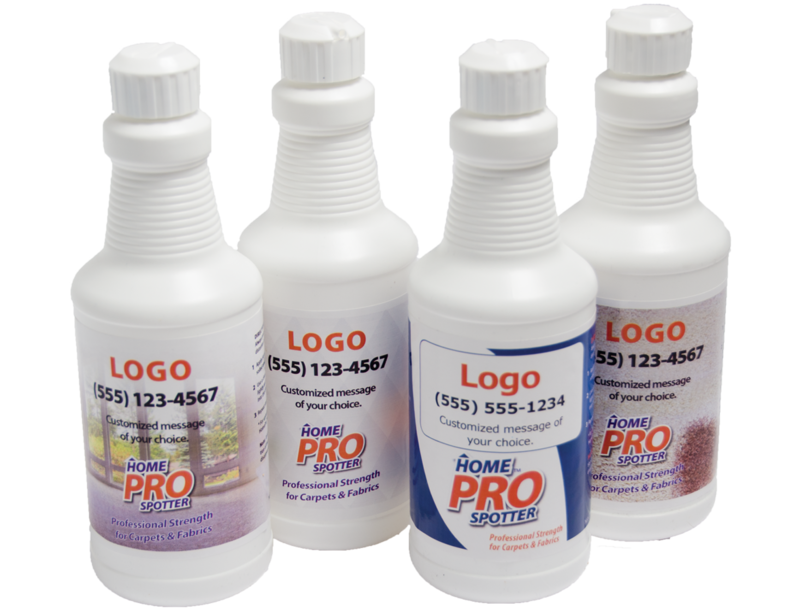 Our customer service representative will call you to provide more information if your order exceeds 12 cases. Freight: $9.95 per case West of Mississippi and $11.95 per case East of Mississippi. 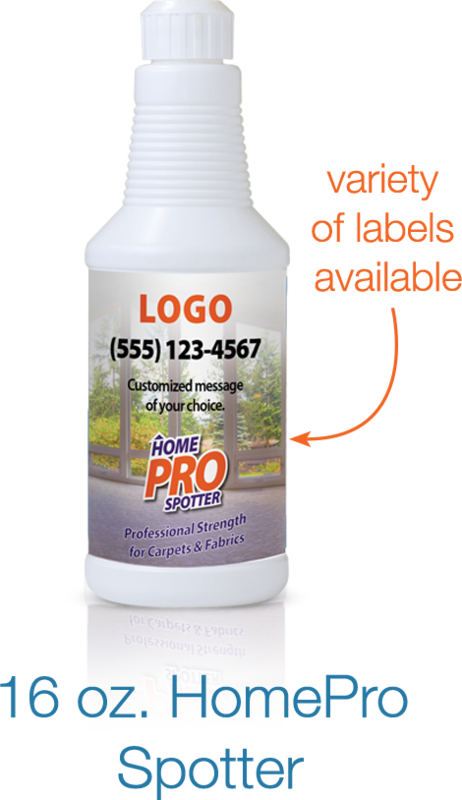 Order a total of $350.00 or more and receive Free Freight!